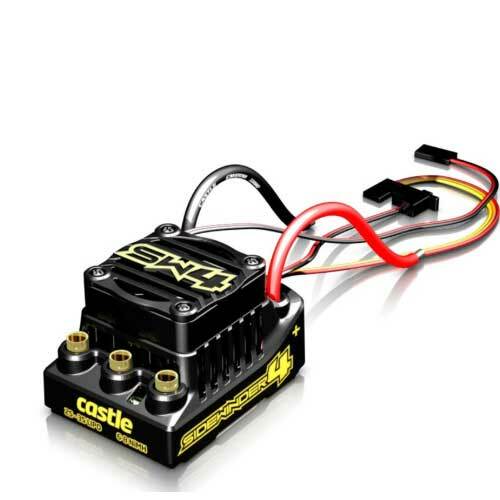 While the all new SIDEWINDER 4™ builds upon Castle’s most popular platform, the SIDEWINDER 1:10 SCALE SERIES, it is the first of its kind to run Castle’s newest technology, CRYO-DRIVE™. CRYO-DRIVE™ combines technology from cutting-edge hardware and software advancements to increase thermal performance. COOLER TEMPS mean LONGER RUNS and MORE POWER in your SIDEWINDER 4 setup. Check out LiveRC's THURSDAY TESTIMONIALS: Castle Creations Sidewinder 4 ESC and 4600kV Brushless Motor Combo here.